And then he smiled a knowing smile. My first steps towards spring. Copyright 2009, Shel Bockman. © This work is protected under the U.S. copyright laws. It may not be reproduced, reprinted, reused, or altered without the expressed written permission of the author. 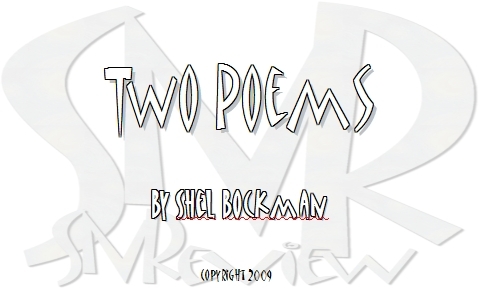 Shel Bockman, a professor at California State University, San Bernardino, attended the University of Iowa years ago and took some poetry writing courses, but stopped writing poetry after receiving advanced degrees in a different field of interest. Recently he returned to poetry and has published in Boston Literary Magazine, Maverick, A Little Poetry, Flutter, Words-Myth, and Kupozine.